I’m running out of creative ways to start these blog entries. You can only say “greetings” or the equivalent of that in another language so many times before it starts getting a little boring. So I’m just going to jump into it today. As I write this, we are enjoying a holiday weekend here in Uganda. As you may know, yesterday was Good Friday, and Sunday is Easter. I’ve mentioned before that many people in Uganda are highly religious, so it shouldn’t be that surprising that they make a big deal out of Easter. Both Good Friday and the Monday after Easter are public holidays here, meaning that everybody gets those days off (except perhaps people who work in the hospital, and who likes them anyway?). It’s pretty funny, because people kept asking me what my plans were for the holidays, and I had no idea what they were talking about, because I basically thought of it as just another weekend. It seems like both a lot and not that much has happened since my last blog entry. We finally moved out of the hotel and into a house, which is really nice. We got a great deal on renting it, because it’s in the process of being renovated (I’m watching 4 Ugandan construction workers put up curtain rods in our living room as I write this), but it’s actually a very high-end place. I almost feel a little guilty living here, because it’s so far removed from the conditions that most people here actually live in. We have running water (which works most of the time, though sometimes it stops inexplicably), electricity (though I don’t have high hopes for it, considering our experience with the reliability of Gulu’s electricity), and as of this morning: HOT WATER, which totally blows my mind. I took a shower that wasn’t freezing cold this morning, and it was amazing—even if it was a bucket shower. The house was totally unfurnished when we moved in, so we bought the bare minimum of what we needed to live here for a month—mattresses, chairs, dishes, pots, a frying pan, and a small kerosene stove. The stove has been a little bit of a challenge to use because it only has one burner and most of us aren’t used to cooking on gas like that, but at least we don’t have to rely on the electricity to power it. It’s nice to have somewhere to call home, if only for a little while. It’s also conveniently very close to one of our favorite hangouts (which has the best internet I’ve encountered since arriving in Uganda), and within walking distance of town. In other news, I realized that maybe I spoke too freely about my little encounter with malaria, and didn’t give it the weight it deserved. I encountered it for a second time this week, and it was much less forgiving with me this time around. In fact, to my surprise, I ended up spending a night in the hospital. I’m dong much better now, but the experience has made me gain some appreciation for the severity of the illness. It was a little disconcerting, because on Sunday I felt fine, but by noon on Monday, I had developed severe body aches and a fever, and was pretty sure the malaria was back. When I went to the doctor a few hours later, I discovered that my fever had spiked up to 40.1 degrees Celsius (which I couldn’t put in context at the time, but I found out later that it translates to about 104 degrees Fahrenheit), and the doctor suspected severe malaria. I had to get a fever reducing shot right then while they ran blood tests on me, and then spent the rest of the night getting IV antibiotics for a severe infection (which had shown up unexpectedly in the blood test), swallowing pills for malaria and fever, and getting my temperature taken. Overall, I think I handled the whole thing pretty well, but there were a few moments where I almost lost it, like when the nurse who was about to take my blood for testing said she was having trouble finding my vein (direct quote from the nurse: “I want to prick while seeing, but I might have to prick without seeing.” And me, alarmed: “PLEASE don’t prick without seeing!”). Most of the hospital experience was rather unremarkable, actually. The hospital staff were very helpful and pleasant; the doctor was attentive and knowledgeable; the equipment was fairly up-to-date, and there seemed to be enough of it. I got a private room that had its own bathroom, which was pretty nice, and I didn’t have to provide my own bedding, as patients do at many health centers here. Notably, the hospital where I got treatment is not the same hospital where I’m doing my internship; the internship is at the government-run, free hospital, which is pretty run-down and very busy. The hospital I stayed at is the most expensive hospital in Gulu (according to one of our friends), privately run, and seemed to have a much more manageable stream of patients. And so again we encounter the dichotomy between the quality of services available to the average Ugandan and those available to People With Money. I have now checked two new experiences off my life list (not the list of things I wanted to do…just a list of things I have done): getting an IV, and spending a night in the hospital. I think that’s pretty good, if I made it to age 21 without doing either of those things. It makes me realize how lucky I have been to have had such good health all my life. As I was contemplating the IV hookup in my hand that night, I kept thinking about all the kids in the malnutrition ward where I’ve been interning, because so many of them have those for days at a time to receive IV meds. I gained new appreciation for the way they put up with it so well, because it’s weird to have a needle hanging out in your vein all the time and it kind of hurts when they pump stuff into it. I got out of the hospital on Tuesday, spent Wednesday resting, and went back to work on Thursday. As I was sitting outside of the ward waiting for a friend, I waved to this little girl who was sitting against the wall of the pediatric ward (which is right next to the malnutrition ward). A lot of the kids here are actually afraid of “the muonos,” as they call us (translation: “the whites”), but when I waved she got up as if in a trance and slowly walked over to me. She sat down next to me and held my hand for probably 30 minutes, without ever saying anything. (I tried to talk to her, but she was very quiet and it seemed like I should just let the silence be.) I don’t know exactly what happened, but I really felt a connection with this girl, even though I don’t even know her name. She was probably about 6 years old, wearing a dirty pink and white Nike hoodie, and had an IV hook-up in the hand that she was holding mine with. I don’t know where her parents were, because she was sitting alone when I saw her and nobody seemed to come looking for her. (Not altogether surprising because here, fathers are never involved with children who are admitted to the hospital, and I’ve always wondered how the mothers can stay with the child, take care of all their other children, and still run their household…I guess they must have to leave the children unattended at the hospital sometimes.) But it was amazing how much I felt was being said between us without words. She was telling me that she was exhausted and hurting, maybe a little scared, and a lot lonely. I wanted to tell her that I’d been in the same position just a few days ago, and to tell her how brave she was, that she wasn’t alone, and that it was going to be ok. I hope some of that got across to her. I woke up that night around 3AM and she suddenly appeared in my mind: the little girl with the soft touch and downcast eyes. I wonder what happened to her. Since it’s a holiday weekend, I won’t be back at the hospital until Tuesday, and she’ll probably be gone by that time. I don’t know what it was about her that moved me, but she reminded me of whom I am working for: it’s her. It’s her, and all the other children and adults who languish in that hospital from diseases that can be prevented so easily. It’s her and every other child that suffers because their drinking water isn’t clean; it’s her and all the children who die from malaria because they don’t sleep under a bed net; it’s her and all the people who have been scarred by the effects of war that they didn’t ask for. There is so much needless suffering here, and it all came pouring out to me through the touch of this young girl. I’m pretty sure I will never forget her. She will keep me on track; when I start to get tired or frustrated or absorbed in my own struggles, I will remember her and the things she so quietly reminded me of. So thank you, nameless child. You inspire me. I will keep fighting for you. And you are so strong; I know you will keep fighting for yourself. Love and peace to you. Itye from Gulu, Uganda! (That means “hi” in Acholi. The Luganda we learned in Kampala is now fairly useless for communicating, because no one speaks it outside of central Uganda, and Acholi belongs to a completely different language class, so there isn’t any overlap.) But we have arrived safely in Gulu, and I’ve already fallen in love with the city. 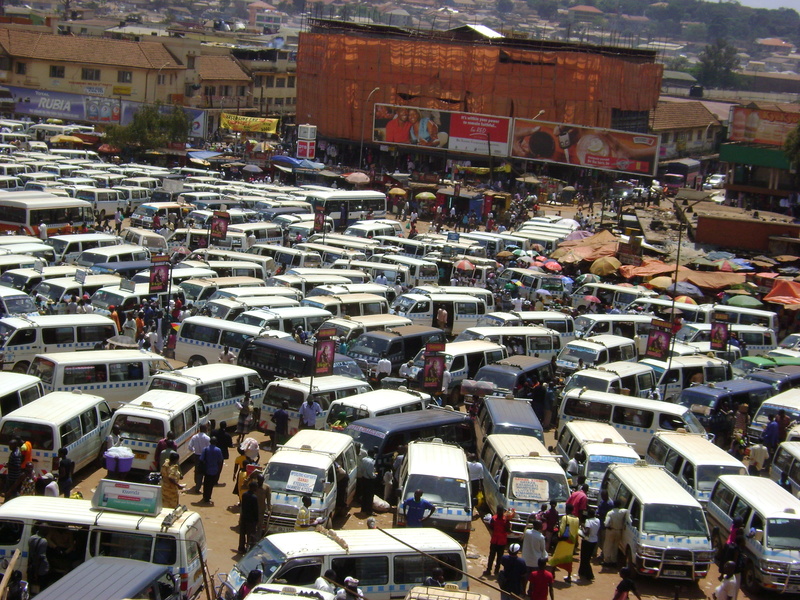 I liked Kampala, but it was exhausting. It was massive and hectic, and I always had to be on guard as soon as I stepped out of my door. We’ve only spent 4 days in Gulu, but I really like its small-town feel, the dirt roads, the more laid-back atmosphere, and the total lack of traffic. I love that everything is within walking distance, and people don’t generally try to overcharge us just because we’re white. People here walk and ride bikes a lot, which is awesome. Taxis are almost never used, which is equally awesome. Boda bodas are the main method of transportation, and our program directors told us the rule against riding them is applied leniently for students who are here. In my limited experience, I think the people are also a lot nicer here than in Kampala. A few examples of the kindness: When we ask for directions, people keep actually escorting us to our destination; my flip flops broke on our way to the phone store, and a few minutes later someone from the shoe store next door came in and presented me with a new pair of sandals that someone had bought for me; and the other day when it started pouring rain as we were leaving an internet café, one of the employees drove us home for free. I think the town is generally a lot more mellow than Kampala, and that’s the main reason that I like it so much. The problem is, getting things to happen here is pretty difficult because everything moves so slowly. We’ve been staying at a hotel for the past 4 nights while we try to find a house or apartment to rent, and it keeps seeming like we’re on the verge of moving, but it hasn’t happened yet. There’s always some wrench that gets thrown in the plan: either there is some man who is supposed to call us back in an hour but who we can’t get in touch with until the next day, or it’s raining so we can’t go see a house (though we feel that we could indeed go see a house in the rain), or the power is out so it’s a bad time for meeting…the list goes on. So as I write this, I’m fairly sure we’ve secured a house to rent, and are going to be able to move in tomorrow. But we’ll see what happens. At least the hotel is pretty nice—we each have our own room, there are showers, and latrines that flush. Though as of today, the water has run out, so the showers aren’t working and the latrines don’t flush…but until today it was good haha. That’s one of the weird things about living here: you start appreciating things you had never thought about before (running water and electricity, for instance). I had never thought about how convenient it was to have water that came out of a tap every time you turned the handle until I came here. Now even things like making a sandwich become more complicated, because to wash the knife you use for the peanut butter, you have to scoop water out of the basin that collects rain water outside, then bring the water to the sink, pour it over the knife, add soap, and pour more water to rinse. Which of course isn’t an efficient way to use the water, because that’s a lot of water to use to wash one utensil. Conservation is another thing that I think about a lot more here. Of course at home I always try to conserve water and electricity, but it doesn’t seem as vital to do so. The idea of running out of water at home is absurd; I try to conserve for monetary reasons, and because I think it’s better not to use more of a resource than you need. But here, conservation is a survival strategy. You know that if you use too much water, you might not be able to access it again for a few days. (This is less severe for us—the people who don’t drink this water—than it might be for people for whom the water supply is also their drinking water.) Then, here in Gulu in particular, I’ve come to realize how much I depend on electricity. In Kampala, the power sometimes went out, but it was usually back on within a few hours, or half a day at the most. As I write this, the power has been out in all of Gulu for nearly 2 days. We’re fortunate enough to have a generator at the hotel, so we’ve been able to have a few hours of electricity each night (they only turn the generator on when it gets too dark to see, and they turn it off around 10:30PM so people can sleep—it’s really loud! ), but it has still been quite the adjustment. It’s frustrating when your cell phone, which is your main method of communication, runs out of batteries and there’s no way to charge it; I had to make a conscious decision to write this blog and use up precious computer battery; and other things like that. It’s just funny how disconcerting it is when things you always took for granted are taken away. 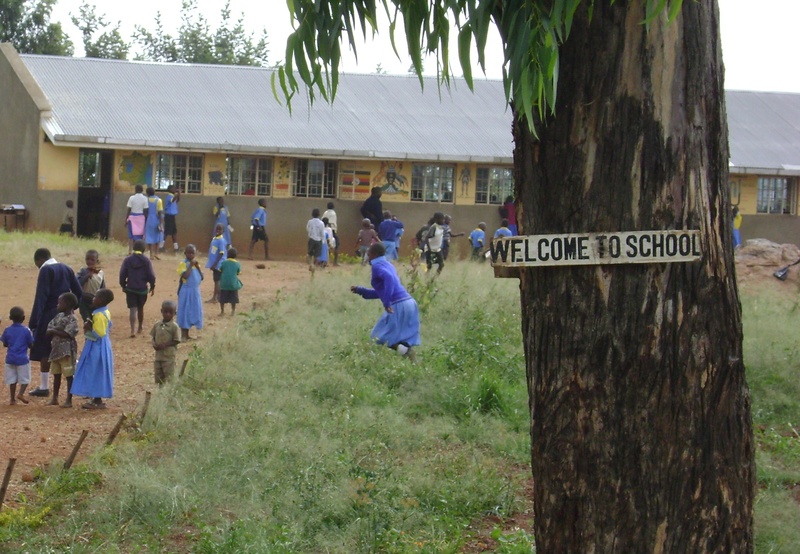 Academically, Gulu has been a little disappointing so far. It turns out that my advisor, who assured me that I could carry out the internship/research that I wanted to do at Gulu Hospital with no problems, didn’t quite know what he was talking about. I am hoping to work primarily with outreach services and prevention of child malnutrition here, but I’ve been placed in the hospital, where they only do treatment. The treatment is interesting, and is part of what I wanted to learn, but I really can’t imagine spending 5 weeks working on this end of the problem. Those of you who remember my pre-med days know that I used to think I wanted to be a doctor, because I felt like I would be making such a difference by helping people who were really sick or injured. The need for medical care can be so urgent, and being able to satisfy that need seemed like it would be very fulfilling. This is probably the same motivation that led me to pursue work as an EMT. I still feel that such work is really important, but I also have developed a strong feeling that attacking root causes is more important to me, personally. I feel that I, as Christina, can make more positive change in the world by helping people to address the factors that cause health problems (in this case, malnutrition). Treatment is an important part of it, but nursing a malnourished child back to health isn’t making a lasting change in the society that created the malnourished child in the first place. I really want to get involved in outreach/prevention services that will help parents to figure out creative ways to give the children the nutrients they need, despite other challenges the family is facing (including cultural pressures, possible HIV infection, or lack of access to crops due to displacement from their land, to name a few). The in-charge in the malnutrition unit of the hospital told me that “outreaches are supposed to happen, but they don’t.” So I think I need to connect to an NGO that does these types of things…which is frustrating, because it kind of puts me back to square 1, and a week of our 6-week practicum is already gone. But the way things seem to work in Uganda, I’m still fairly sure that things will work out. They always do, though I’m never sure how it happens. So I guess I’ll do what I can, and leave the rest up to whatever strange forces are in play here. As far as social things go, I turned 21 the day after we arrived, and enjoyed a really atypical birthday. We spent most of the day hanging out in town and exploring. We discovered a great little market with tons of veggies (something we all felt was pretty lacking in our Kampala diets), as well as beautiful fabric, clothes, bags, and useful things for the home. That night, we made make-shift pina coladas (combination of this pina colada juice that they have here, and some rum that we had to search the whole town to find) and drank them while sitting out on our porch and watching the day wind down. My friends found some slices of cake and a candle that said “1,” which they lit while they sang to me in the hotel lobby. It was actually a really perfect birthday. Our host father took us on a lengthy tour of the village one day, and we got to visit the local school (711 enrolled students in 6 different grades and only 4 teachers for all of them. Also, only a primary school—nothing beyond that unless you travel more than an hour to town), the health center (a lower level than the one I previously visited–only 2 people on staff at this one, usually out of drugs…the usual, sadly), a few trading centers, water sources, and fields of crops. It was quite interesting, and I think our hosts enjoyed the recognition they got for being seen with two foreign guests. Later that night, we received a special guest at our house—the chairman of the village (sort of akin to a mayor, I think). We had an interesting conversation with him, though it was sort of impeded by the fact that our host brother, who was translating, sometimes decided to just answer our questions himself instead of translating them for the chairman. It was comical, but a little problematic. I was a little discouraged by our conversation with him, because he seemed so complacent. He said his job was easy, and it seems to me that a good leader will never think that, because there are always new challenges that come up. And in a village where there are 700 kids to 4 teachers, a health center without medications, at least 2 water sources that aren’t functioning, etc…there are definitely problems, so managing the village should not be easy. It was a little disconcerting, because a lot of the leaders we’ve spoken to have been so inspirational, but I guess it would be unrealistic to expect all leaders to be like that. The next day, we were taken to the local university to get a tour from one of our host brother’s friends. We were a little nervous to be left with a total stranger, but we actually had a really fun time. We found a lot of her friends along the way, and they showed us the local hangouts (including a place called Baboon Valley, where we saw—you guessed it—baboons!) It was cool to spend time with people our own age, since a lot of our time in Kampala is spent with our host families. Naturally I knew that there were universities here, but it was still sort of surprising to see how much their life there was just like my life at Tufts. We all exchanged e-mail addresses and I really hope we’ll stay in touch. Evenings in the rural homestay were incredibly comical in their extreme awkwardness, at least from my point of view. It started getting dark around 7pm every night, and in the absence of electricity, there wasn’t much that could be done outside at that point, so everyone was usually inside by 8. Then we all just sat around a lantern in the sitting room, listening to a battery-powered radio (usually not in English), and staring at each other…for 3-4 hours! We usually ate dinner around 11, then sometimes had to have tea after that (they’re big on tea here, and it’s made with hot milk instead of water, so it’s much more substantial), then we were finally able to go to bed, though they thought we were funny for being tired at that point. Eating dinner that late was kind of tough on the stomach (especially because the amount of food we were given every night was enormous, and our parents got really offended if we didn’t make a significant dent in it), but what really got me was the sitting around for 3 hours before that, doing NOTHING. It was weird, because everyone seemed tired; the kids were always falling asleep on their chairs and the floor, and people didn’t seem to have the energy for a lot of discussion, but they wanted to stay up later anyway. I should add here that not everybody was in the sitting room waiting…our host mom and sisters were outside working in the kitchen (the kitchens are separate structures in many Ugandan buildings), preparing dinner for us. You can meditate on that gender dynamic for awhile. The sad thing is, I actually thought the gender roles there were a little closer to equal than others I have observed in Uganda. So we left our homestay on Saturday morning, and learned that African Time is often accentuated in rural areas, as we tried to leave at 11 and weren’t actually on our way until after 1. That night, we stayed at the homestead of the parents of one of the SIT staff members. It was beautiful and relaxing, and they actually had room for 32 of us to sleep there comfortably, which was very surprising. 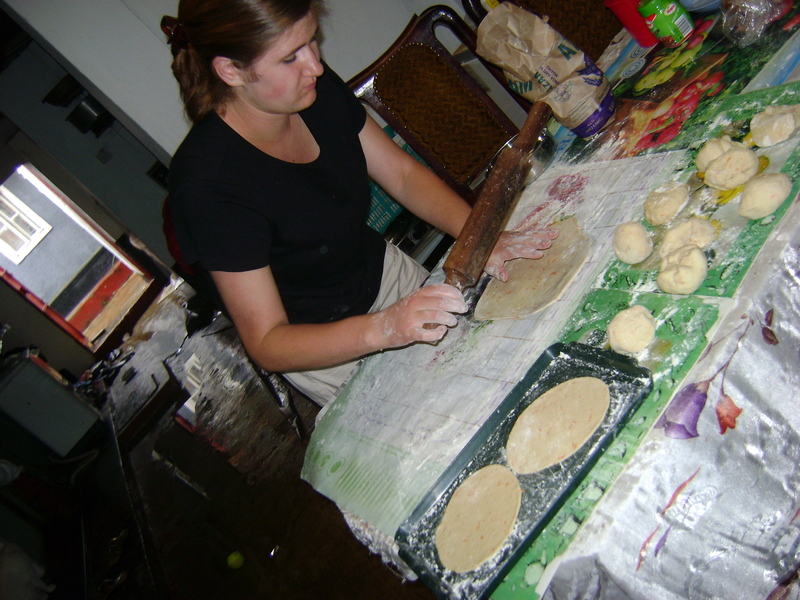 That night, they arranged a party for us and invited some of the neighbors and some of the nearby homestay families. It was a bizarre night, with an assortment of 90s music, rap, and Ugandan music blasting from speakers that were set up in the yard, and lots of little kids dancing (at times with us) in ways that were far too sexual for anyone’s comfort… Quite strange. 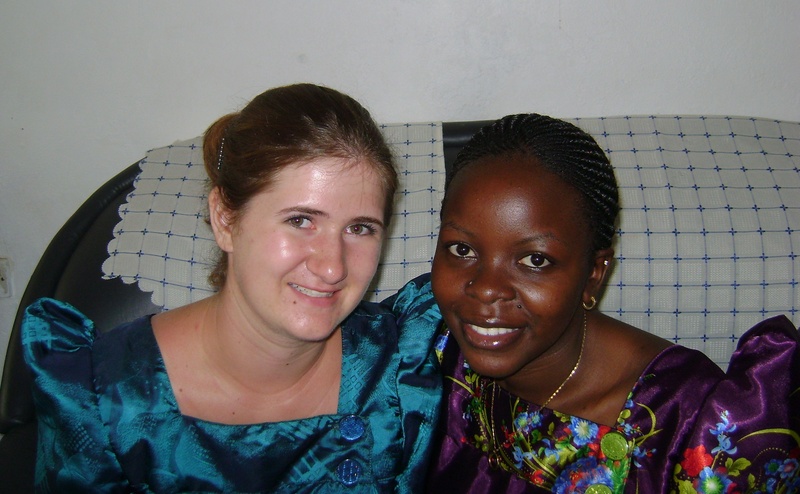 The next day we returned to Kampala and I found out that I had a mild case of malaria. It sounds exotic and scary, but it was really much like having a minor flu, except much more treatable. I went to the doctor, got a blood test, got medication, and started feeling better the next morning. I was pretty exhausted while I was taking the medication, but was totally able to go about my day-to-day activities. Though I’m sure it would have been a lot less pleasant without the help of my malaria prophylaxis, and my easy access to a doctor and medication. The whole trip to the doctor (including medicine) only cost me $25, but that’s still a lot more than most people here can afford to pay. And we’ve already discussed how frequently the government hospitals (the free ones) actually have drugs… But anyway, the point is I’ve come out ok after battling malaria, and feel totally back to normal now. The week just kept getting more intense as student elections heated up at Makerere University (the main university in Kampala, where we’ve taken some classes, but are now finished with). Here, when students are running for office, they associate with national political parties (the equivalent of a student running on a Democratic or Republican ticket at home, except there are more choices and the stakes are higher). There was a rally on campus last Tuesday that got a little out of hand, and the police (or a security guard, it’s a little unclear from the news) opened fire on the crowd of students, killing two and severely injuring one. This sparked several days of riots that shut down the entire university for a week. Then, the next evening, a historic cultural site for the Baganda (the main tribe in Central Uganda) burned down. The site, which we had visited a few weeks earlier, was a collection of tombs for previous kings. The tombs were above ground, and built much like the hut where we stayed in our rural homestay—out of dried grass and wood. 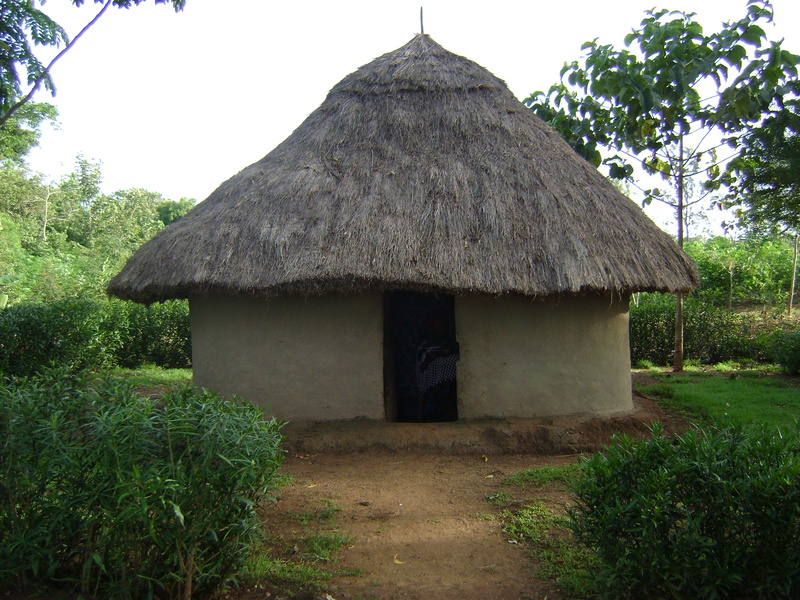 They were built on the land that the tribe has occupied for many, many years, and were a really important part of Buganda culture. The burning was clearly intentional, and some people said that for them, it was akin to America’s 9-11. There were rumors flying that the government may have been involved in/responsible for the burning, because they have been in conflict with the Baganda for quite some time. There was a really tense time when we thought a lot of the city might erupt into riots, but the kabaka (one of the cultural leaders of the Baganda) called for peace and urged people not to take up arms against the government, so I think that really helped. People still swarmed the site in mourning, and then President Museveni tried to visit to mourn with them, but he was blocked from entering, which prompted his guards to fire into that crowd. Several people were injured, but I haven’t heard reports of deaths from that particular incident. Again, it was tense for awhile, and we were urged to go home early so we would not be in the city center in case any disruption occurred, but it seems to have largely passed without any major violence (*knock on wood*). The relations between the Baganda and the government are still really tense, and I’m sure it will flare up eventually, but for now everything is back to normal. In other/related news, I’m leaving Kampala tomorrow, so I should be farther away from possible riots, for what that’s worth. I’m heading up to northern Uganda with 4 other students to work/do research in Gulu. I’ll personally be working in the hospital with the malnutrition unit, hopefully helping with the outreach services that work to prevent malnutrition in children. The doctor who I’ve talked with at the hospital has assured me that I’m welcome there, but when I probed for details, said that we’d figure it out when I arrive. Apparently this is common in Uganda, but it still makes me a little nervous, since as you all know, I’m the kind of person who likes to have a plan… Oh well, I’m learning how to go with the flow, and it’s probably good for me. So that’s it for the time being. I’ll let you know how my new home is when we get there. Hope everyone is celebrating the passage of the healthcare bill; I heard the good news this morning! Peace and love from Kampala. So to start off, sorry for the lack of recent updates. This has been an interesting last few weeks, to say the least. Looking back on the eastern excursion as a whole, I have to say it was a lot less outrageous than the western excursion (aka no dancing with prisoners this time!). The rural homestay was a great experience overall. The living conditions were certainly a little less luxurious than I am used to (pit latrine and bucket showers! ), but it was really interesting and pretty fun. Thinking about our rural homestay experience just makes me smile, because it was sort of absurd in its own way. It started out with all of us piling onto several different buses with our homestay partners, all of us a little nervous about the next three days. We got dropped off two by two, and were told that we would have to find our way back to our meeting place in town in 3 days. My partner, Anna, and I were received by our host parents and led into the main house. We were showed to seats in the living room, and presented with a Visitors Book to sign (people here are obsessed with those things! ), then we had some awkward getting-to-know-you chatting. Eventually our host parents just kind of left the room, and we were served tea while a stream of people filtered into the room and introduced themselves, then filtered out again. It was hard to tell which people were part of the family and which were just friends and neighbors who wanted to stop by and see the guests. We basically just sat around all afternoon and talked to various people. One of my favorite strange moments of the trip happened as Anna and I were sitting outside and chatting before dinner. It had gotten dark, so we didn’t see a figure approaching until it was very near us. He greeted us, and introduced himself as Jerry (again, we had no idea what relation he had to the family), and then said something along the lines of: “May I pose the question?” We both were pretty confused, and asked him to clarify, and we eventually said that he could pose his question, at which point he said, “I believe in the Lord Jesus Christ. Do you?” We were both a little floored by the question. It just seemed a little early in the conversation to jump into such issues. But I think it’s not that strange in Ugandan culture. People here are generally very religious. Many different religions are practiced, including many branches of Christianity, Islam, and I think Hinduism (there is actually a substantial Indian population here), but I don’t think I’ve met a single Ugandan atheist. In my experience, most people don’t really understand when mzungus say they don’t have a religion. Anyway, to condense three very long days into a few paragraphs: we spent a lot of the homestay time just hanging out around the homestead and talking to people. We tried to help out as much as we could, because our host mom and siblings were always so busy with tasks to keep the homestead running. Every time we offered to help, our host mom would laugh and laugh, and ask if we were sure, but eventually she would usually give us a task. Anna and I debated a lot about why it was so hilarious that we wanted to help, and there are many possible reasons, but I think that a lot of the laughter was actually just her way of expressing happiness. Our ADs told us at the beginning of the program that people here often show that they are happy through laughter, which is different from the U.S., where we usually don’t laugh out of happiness. We learned how to peel cassava and yams (some of the staple crops in that area), how to collect water from the bore hole, and how to milk the cows! It was actually really fun, and it made us feel like we were helping at least a little bit. Back safely from the eastern excursion. Working on a lengthy post, but it’s not ready yet. For now, I have some pretty decent internet so I’m going to try to post a few pictures. I tried to change the blog so it would show the entire picture, but I’m not sure if I was successful. You may have to click on the pictures to see the whole thing. 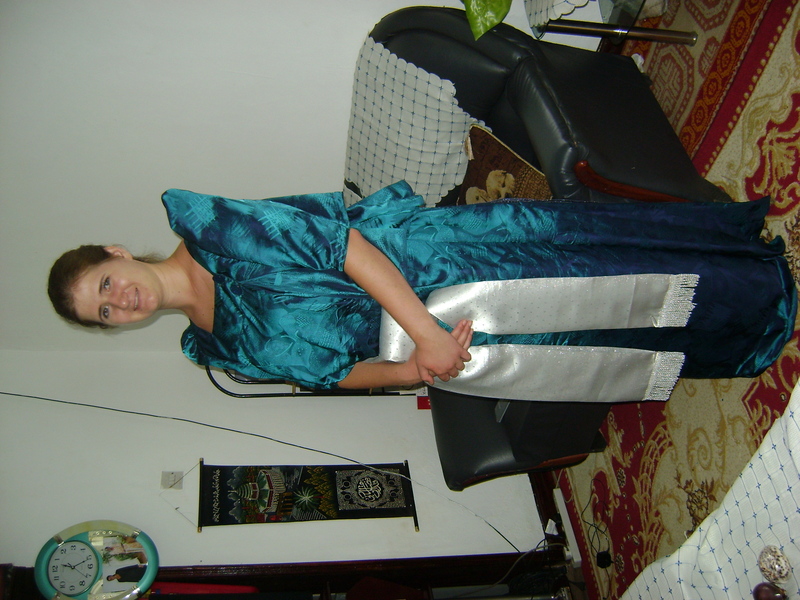 The full view of the traditional dress–these things are not flattering in any way! This is me and Anna with our rural homestay family. Surprisingly, we have found very functional internet in the middle of rural Uganda. On Sunday we spent most of the day driving east from Kampala to a very rural village whose name escapes me right now. The scenery was absolutely breathtaking–actually somewhat similar to Colorado, but with an added tropically lush element. We spent two nights at a hotel unlike any other I have experienced. It was structured somewhat similarly to a summer camp, in that there were “dormitories” that were spread out, and we slept on bunk beds, with 4-6 people per room. It was built on the side of a hill/small mountain, and beneath us the land sloped down into a valley. On the other side, there were several waterfalls that I could see when I stepped out the door from my room. It was calm, quiet, and beautiful–a nice break from the hustle and bustle of the city, for sure. It was somewhat like camping in that there were no real bathrooms–only latrines, and taps with running water for brushing teeth, etc. There actually were showers (something many of us don’t even have in Kampala) with hot water (a big thing for us! ), which was amazing, even if the water was a little overly hot [read: scalding]. We went on several hikes in the valley, and up to the base of two different, and large waterfalls. We actually got to “shower” under one of the waterfalls, which was really cold, but so exhilarating and fun. I didn’t believe that we would be able to stand under the water without getting knocked down, but it was really possible. I loved it because I kept looking up and thinking “Wow, how many times in my life am I going to be able to look up and see THAT?” It was awesome. We also did some work in the past few days (we are at school, after all). We had several lectures on research methods, and then we went out into the local community and used the various research methods we had been taught. (SIT has amazing resources/connections and they were able to set up groups of people who were willing to talk to us, so that was majorly helpful.) The people my team interviewed were really interesting–they were part of a small “merry-go-round” group, where about 20 of them decided to come together and pool some of their money monthly, then give the sum to a different person each month, based on a pre-determined schedule. That way, they were all able to make large purchases such as livestock, supplies of crops, parts for their houses, etc, that they wouldn’t have been able to afford otherwise. It was a really cool way to see people working together. We have a free night in Mbale tonight, but we are staying at a church-run guest house which has a curfew of 10PM so it probably won’t be too eventful. Then tomorrow we move into our rural homestays, where we will be for 3 days. During those three days, the only other SIT person we will see is the other student we have been paired with for the trip. Intense! But I like my partner so I think it will be fine. We’re also supposed to bring them gifts, and our coordinators told us that livestock are very popular gifts, so we’re bringing a hen! (They said since it will lay eggs, the family probably won’t kill it, so I hope they’re right!) But again with one of those rare opportunities…how many times am I going to be able to bring someone a live chicken as a gift? Out of time! Hope all is well. Peace and love!